It’s important to know who your target audience is and what your strengths are. By that I mean are you looking for only high net worth clients, or are you in a special market to help younger families with college planning? Is it starting out with Med Sups then working with them later in other areas of their finances? Your strengths and target audience will help you determine which marketing methods could work best for business. These are all very different approaches. Sometimes using a mix is most beneficial as long as the strategy is feasible and within your budget. A majority of successful financial advisors still conduct seminars and workshops. Live, in-person prospecting events provide the most face-to-face exposure. The content of your presentations need to be appropriate for the leads you're looking for. Whether you host workshops on social security benefits or college funding, it's one of the best ways for a client to be introduced to you as a knowledgeable resource. For many, leveraging social media posts can be difficult as it’s not just about sharing “content” on your feed. 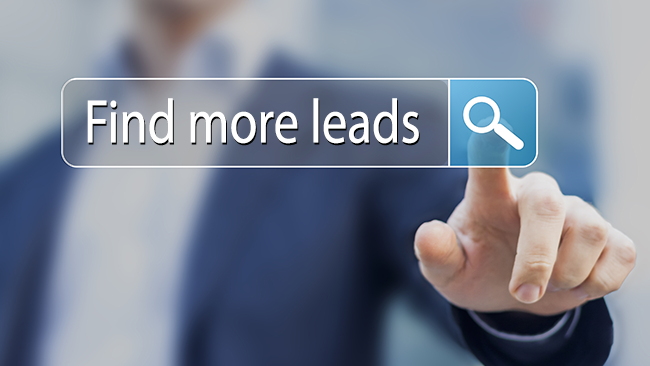 Converting leads into clients is more complex than simply posting content online. In order to see consistent results from social media, you must understand the best steps to take to generate leads on social media. Utilizing social media can be cost effective if done correctly and has become a powerful marketing tool for advisors. Referrals will start to come in when you do great work for your clients. It's one of the best lead sources there is and you can't go out and pay for it. Your clients may make others aware of your business, but a mention alone is not going to get them to meet with you. When you rely on referrals, you need to provide your clients a professional way to recommend your services to others. With all of these lead generation methods, it is important to use drip marketing to nurture prospects and remind them of the services you provide. Automated prospect nurturing systems can send related messages to leads to keep them engaged, so when they are ready to make a financial decision, they contact you. There are numerous other programs to get in front of new clients, but be mindful of the cost. The old cliché, “you get what you pay for” usually holds true and it's no different in this business. Financial professionals can go broke trying cheap lead programs that deliver poor results. Saving up money for a process that has merit and has been proven is usually worth the cost. If you take on the responsibility to budget from the beginning, and set aside marketing dollars, you will be able to use these lead generation strategies. Get the free ebook that details all of the steps you need to take to effectively use social media to market and grow your financial services business.